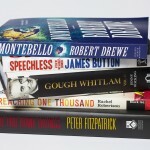 This year’s National Biography Award shortlist has been announced. They are all interesting books. Our library has some titles available for loan and will order other titles soon. Working for Rudd, James paints a colourful picture of the machinations of government and shows how far the party has moved from the idealism and pragmatism of his father’s generation. He ends on a note of hope for the Party’s revival. Montebello continues where Robert Drewe’s much-loved memoir The Shark Net left off, taking us into his mature years. In the aftermath of events, both man-made and natural, that have left a permanent mark on the landscape and psyche of Western Australia – the British nuclear tests in the Montebello Islands, the mining boom, and shark attacks along the coast – Drewe examines how comfortable and familiar terrain can quickly become a site of danger, and how regeneration and renewal can emerge from chaos and loss. With humility, wit and a clear-eyed view of himself, he intertwines these stories with the events of his own life. His passion for islands – which began with Rottnest Island in his youth and continues to this day – frames the narrative; in the near-solitude of these remote places, he is free to reflect. This is a moving story of what it means to see and survive destruction, to love and to grow old. The rise of commercial cinema in Australia and the nascence of our independent film industry provide a fascinating backdrop to this meticulous academic biography of the two Frank Thrings, father and son. Gough Whitlam, Australia’s twenty-first prime minister, swept to power in December 1972, ending twenty-three years of conservative rule. It was an ascendancy bitterly resented by some, never accepted by others, and ended with dismissal by the Governor-General barely three years laterandmdash;an outcome that polarised debate and left many believing the full story had not been told. 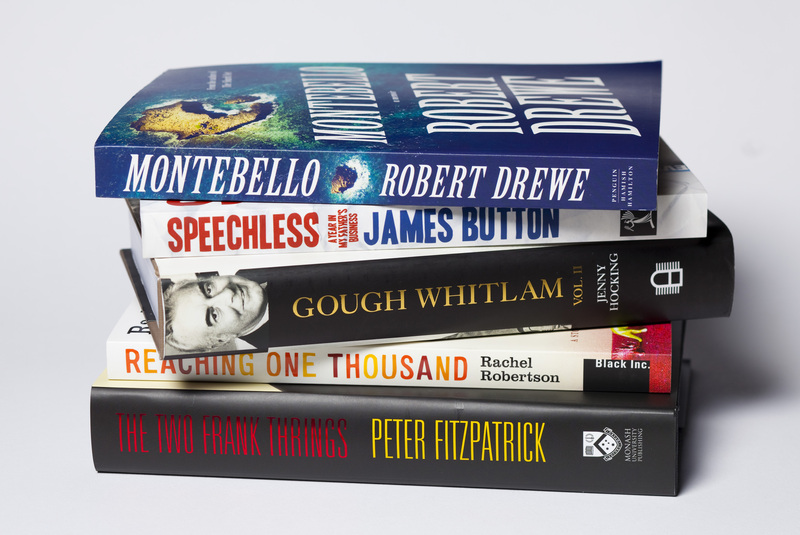 In this much anticipated second volume of her biography of Gough Whitlam, Hocking has used previously unearthed archival material and extensive interviews with Gough Whitlam, his family, colleagues and foes, to bring the key players in these dramatic events to life. Who was ‘the third man’ who counselled the Governor-General, Sir John Kerr, in his decision to sack the twice-elected Whitlam government and appoint Malcolm Fraser as prime minister? How much did the Palace know about what was happening? And what drove the Kerr to take the unprecedented action of removing an elected government from office? This definitive biography takes us behind the political intrigue to reveal a devastated Whitlam and his personal struggle in the aftermath of the dismissal, during the unfulfilled years that followed and his eventual political renewal as Australia’s ambassador to UNESCO. And of course, through the highs and the lows of his decades of public life Whitlam depended absolutely on the steadfast support of the love of his life, Margaret. For this is also the story of a remarkable marriage and an enduring partnership. The truth of this tumultuous period in Australia’s history is finally revealed in this engaging narrative. The good humour and patience required by the parent of an autistic child is exemplified in the title of the book. This entry was posted in Australian Authors, Awards & Prize Lists, Biographies, New Arrivals, Non Fiction, Recommended Reading and tagged Australian Literary Awards, Author, books, Gough Whitlam : his time, James Button, Jenny Hocking, Literary Awards, Montebello, National Biography Award Shortlist 2013, Parramatta City Library, Peter Fitzpatrick, Rachel Robertson, Reaching one thousand, Robert Drewe, Speechless: a year in my father's business, The two Frank thrings, Writer by admin. Bookmark the permalink.